As the world stirs up for the holiday celebrations, poker is revving up in Taiwan. Starting today, December 20th until December 24th, the Global Poker League (GPL) China Season 2 Taiwan Tour and the inaugural Master Poker Series light up the Chinese Texas Hold’em Poker Association (CTP) room in Taipei. 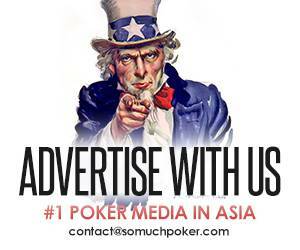 This is the last known poker event of the calendar year in Asia. On its second season, GPL China brings this exciting teams event to Taiwan for the first time. For those unfamiliar with this league, teams from different regions of China battle it out in various tournament formats broken down to three parts. At the end of the first day, the tightest ships accruing the highest points advance to the next stage while the disqualified teams will be given a chance fight it out for the last spot(s). Last year, the Chengdu Pandas rose from near death to win the title in a thrilling three-way showdown. Changes have been made for Season 2. It is now branded, “The Battle of Urban”, trademarked by Beijing Juzhongjoy Network Technology Co., Ltd. and Mediarex Sports & Entertainment. According to their website announcement in October, the league now allows “overseas teams and other nationalities to form a team to represent city and country”. With the game underway as we speak, each team consists of 5 players (instead of 6). Six teams have signed up. GPL Repechage Match (disqualified teams re-match, one team advances) – same format as knockout match except 1v1v1 is a three-handed table. 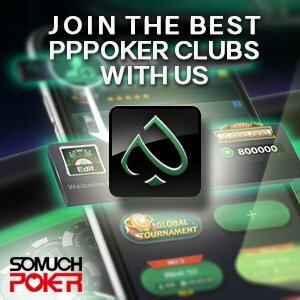 Somuchpoker is on-site to follow the action. We will have a recap on which teams advanced and which ones will have to try and claw their way back in as it concludes. The Master Poker Series gets underway from December 21 to 24. This is a new festival series by the Global Poker Index China (GPIC) Masterboard. Last September 1st, the GPIC Masterboard launched at the opening of the CTP Taipei. The GPIC Masterboard is a smaller, more localized version of the GPI with the points system formatted for clubs such as the CTP. The Master Poker Series is the first big tournament where players can win points toward the GPIC Masterboard – CTP. There are 8 events lined up over the course of the four days. The Main Event is undoubtedly the prime attraction. Buy-in to the main is NTD 15,000 (~US$487). There will also be a High Roller event on the last two days of the festival, December 23 to 24. For those interested, buy-in is NTD 40,000 (~US$1300).